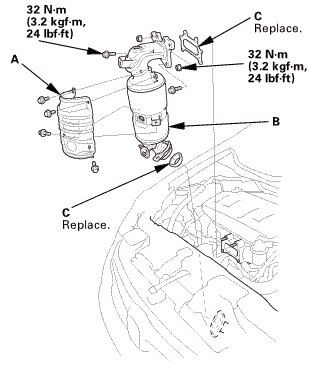 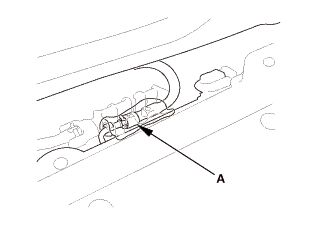 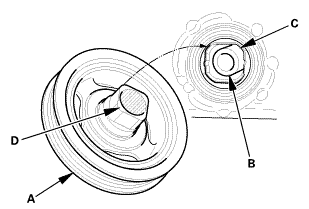 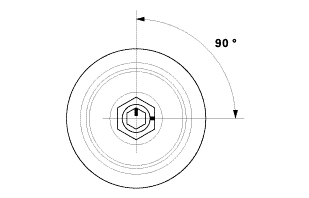 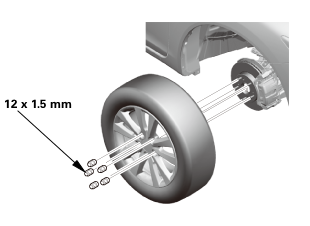 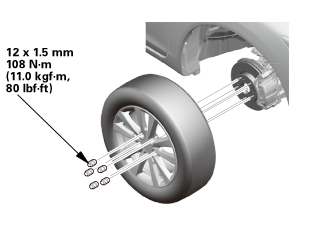 As illustrated, use a commercially available air-impact valve guide driver (A) modified to fit the diameter of the valve guides. 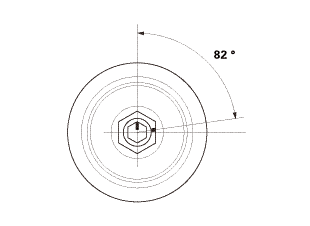 In most cases, the same procedure can be done using the valve guide driver, 5.35 x 9.7 mm and a conventional hammer. 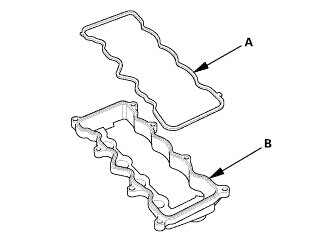 Select the proper replacement guides, and chill them in the freezer section of a refrigerator for at least an hour. 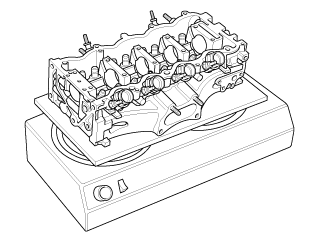 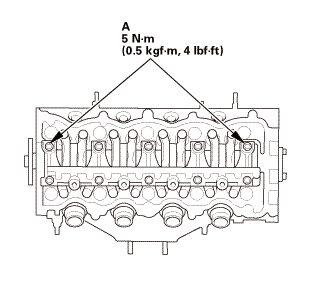 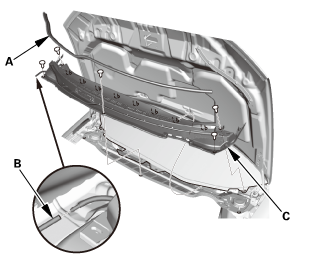 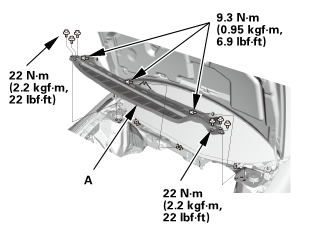 Use a hot plate or oven to evenly heat the cylinder head to 300 °F (150 °C). 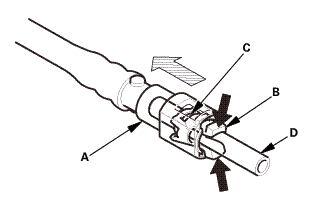 Monitor the temperature with a cooking thermometer. 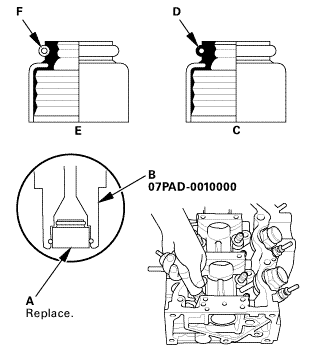 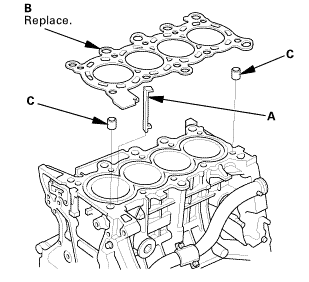 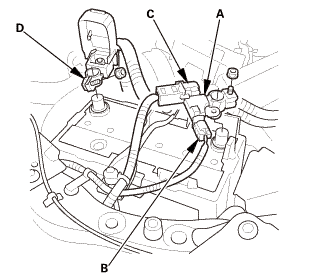 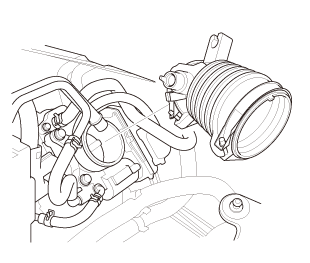 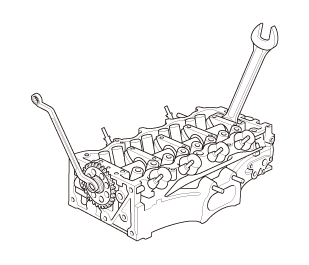 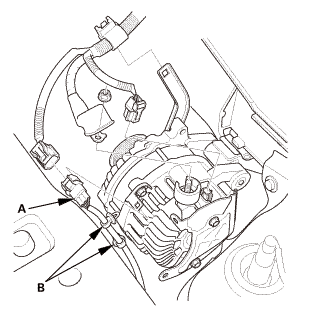 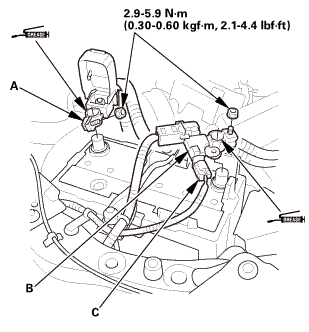 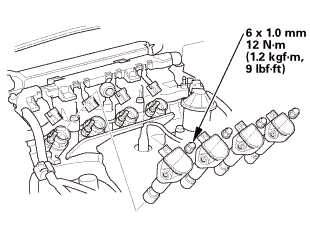 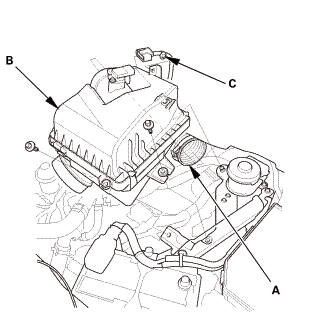 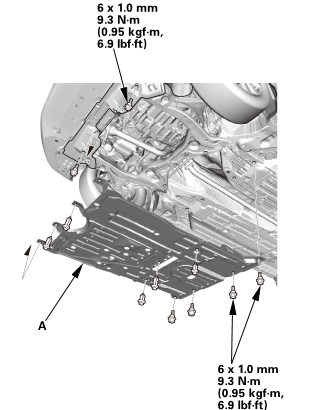 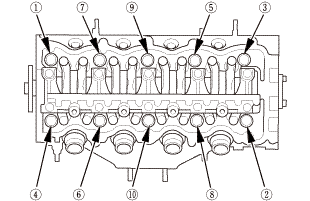 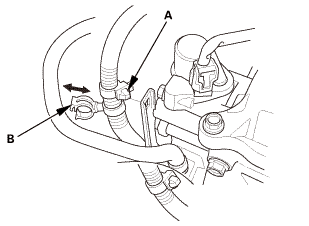 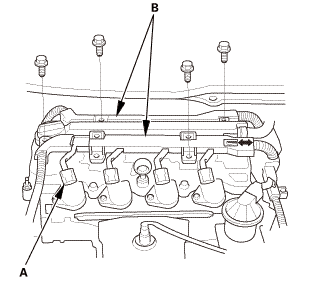 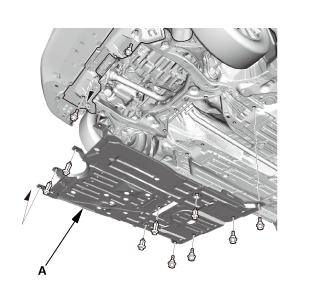 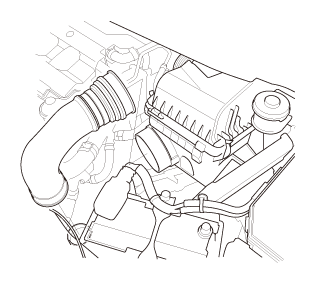 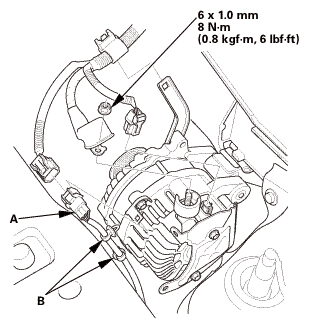 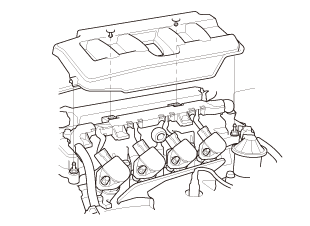 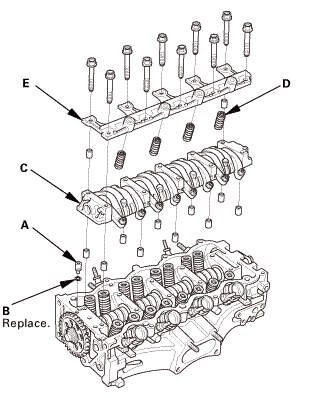 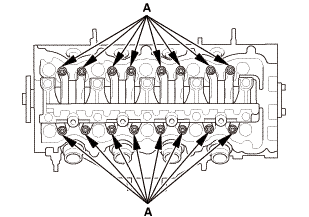 Do not get the head hotter than 300 °F (150 °C); excessive heat may loosen the valve seats. Working from the camshaft side, use the driver and an air hammer to drive the guide about 2 mm (0.08 in) towards the combustion chamber. 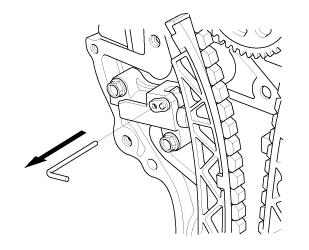 This will knock off some of the carbon and make removal easier. 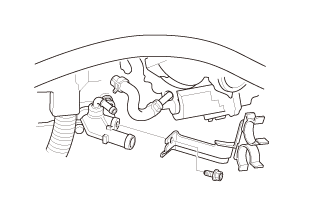 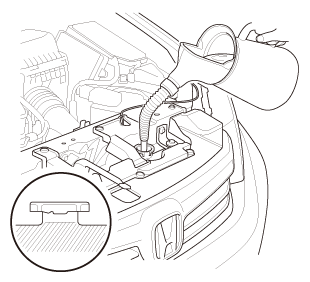 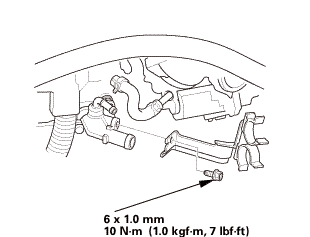 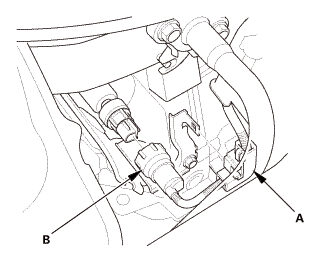 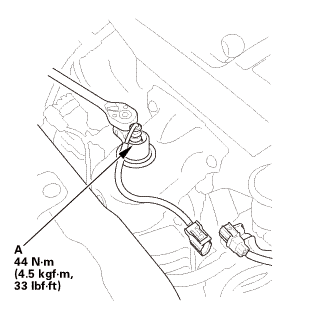 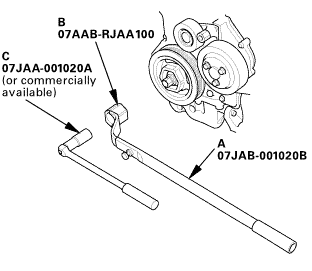 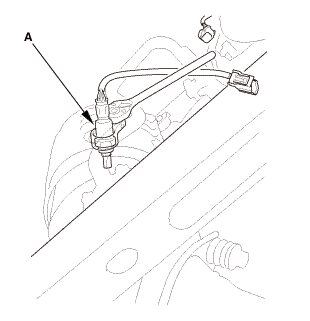 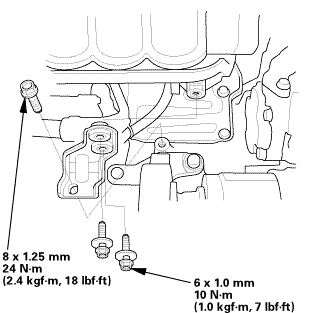 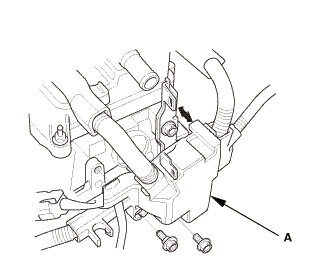 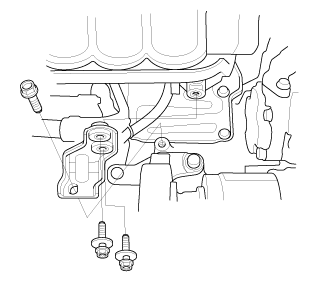 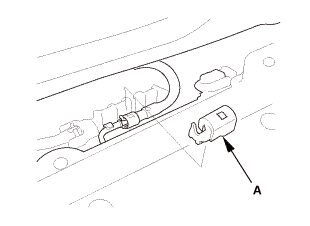 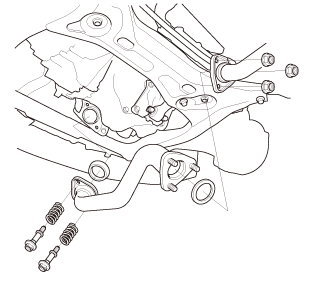 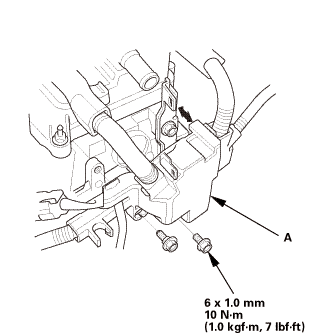 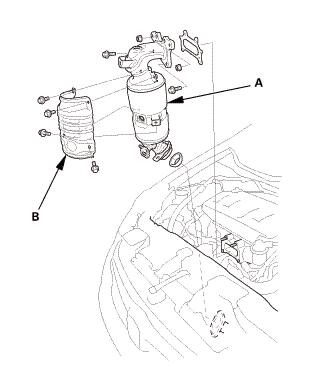 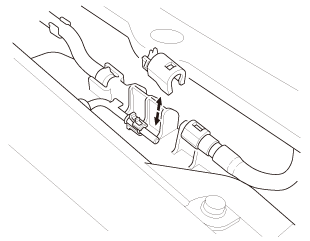 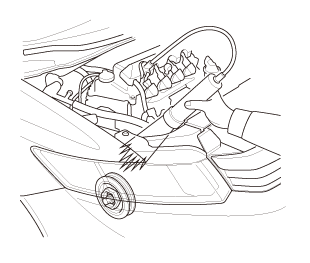 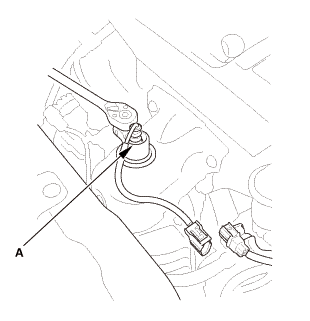 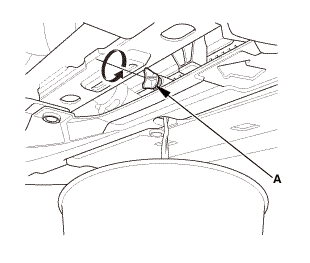 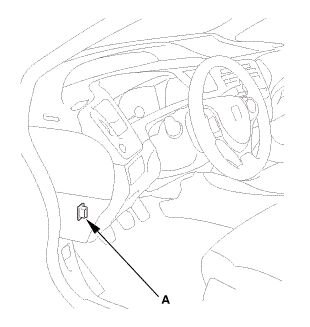 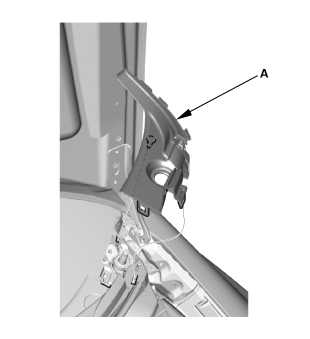 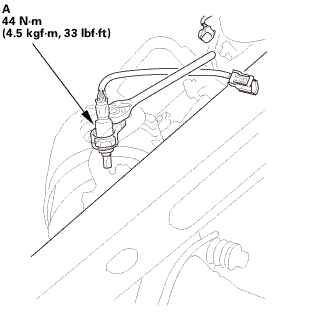 Hold the air hammer directly in line with the valve guide to prevent damaging the driver. 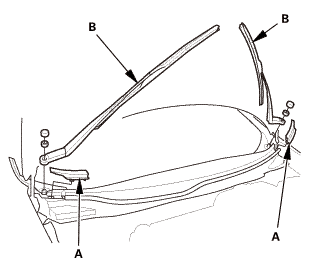 Wear safety goggles or a face shield. 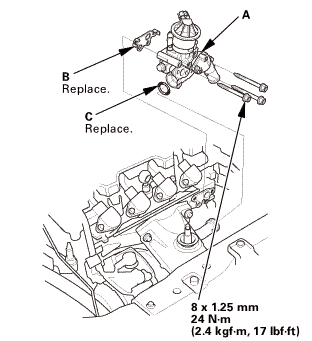 If a valve guide will not move, drill it out with an 8mm (5/16 in) drill bit, then try again. 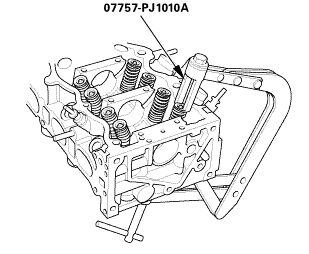 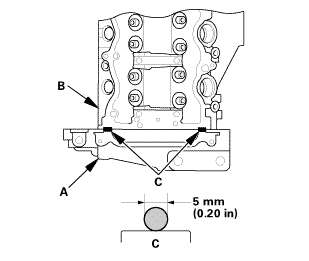 NOTE: Drill guides only in extreme cases; you could damage the cylinder head if the guide breaks. 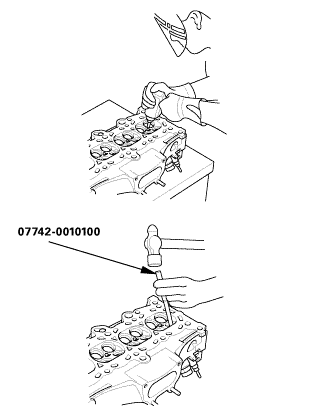 Take out the new guide(s) from the freezer, one at a time, as you need them. 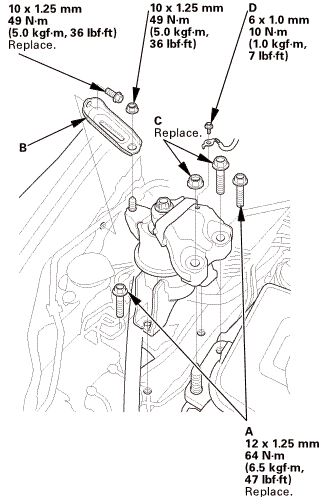 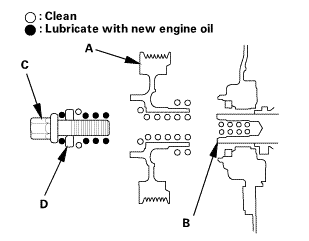 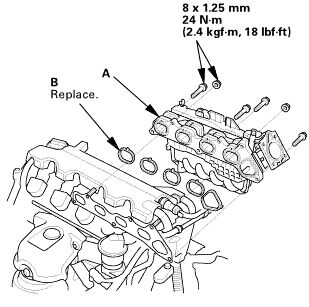 Apply a thin coat of new engine oil to the outside of the new valve guide. 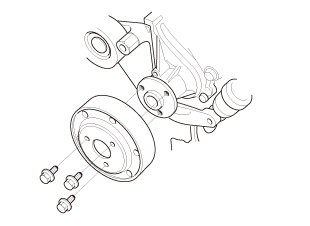 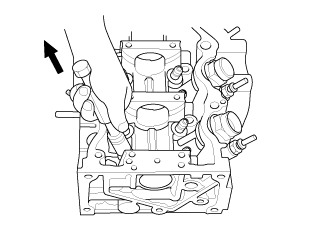 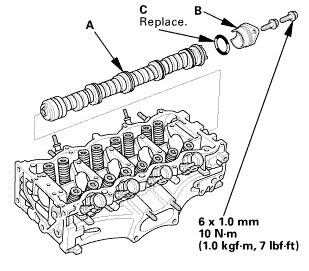 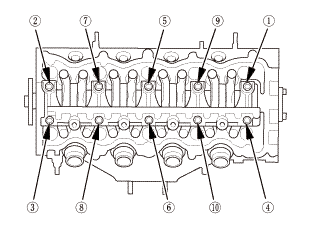 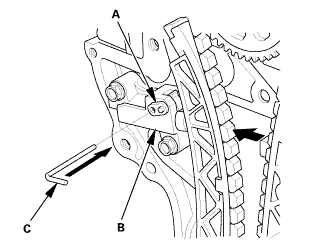 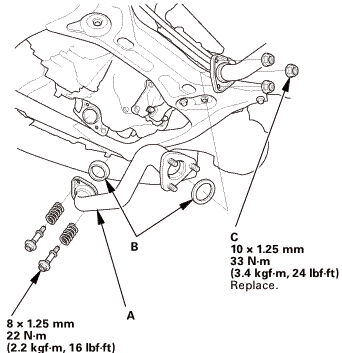 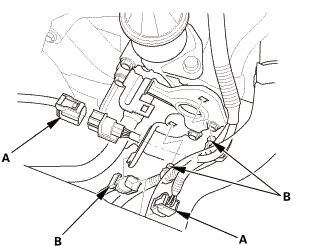 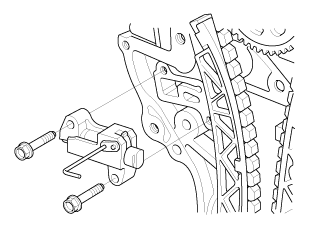 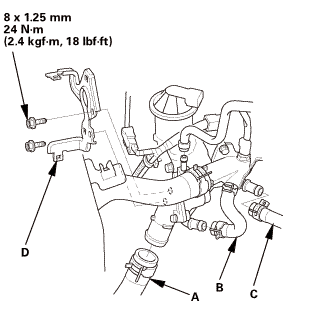 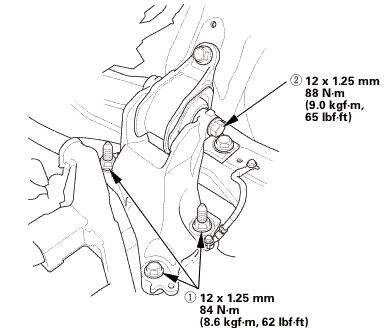 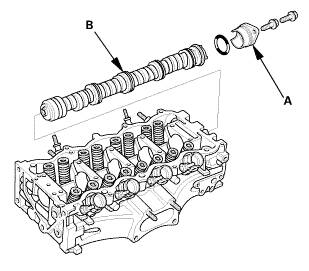 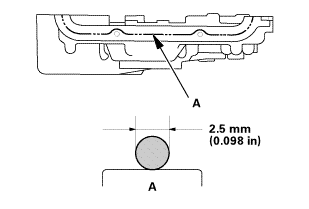 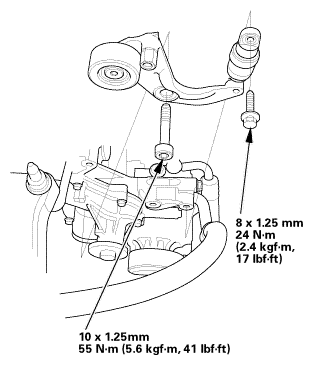 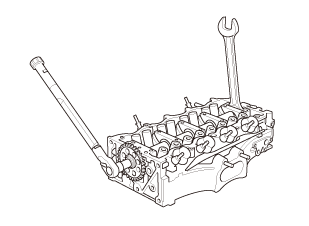 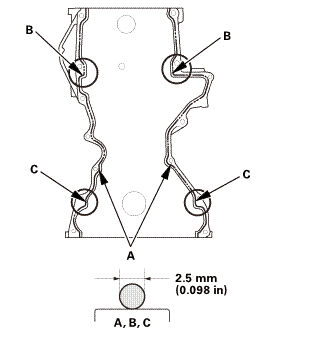 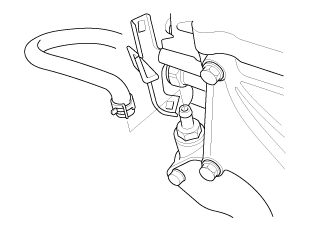 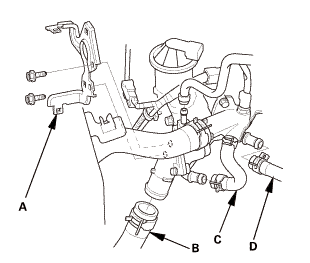 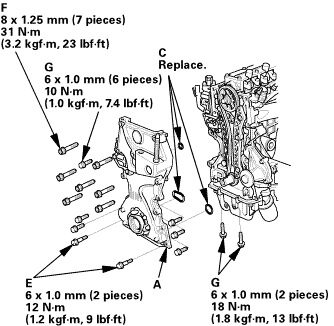 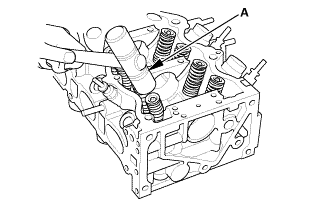 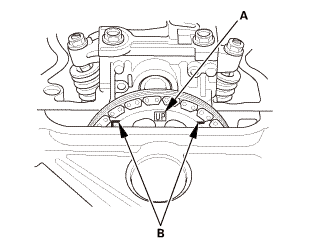 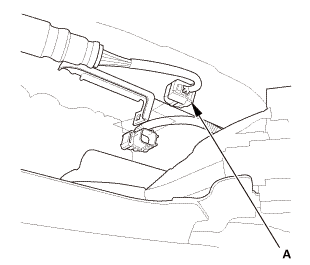 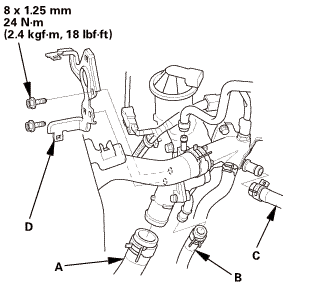 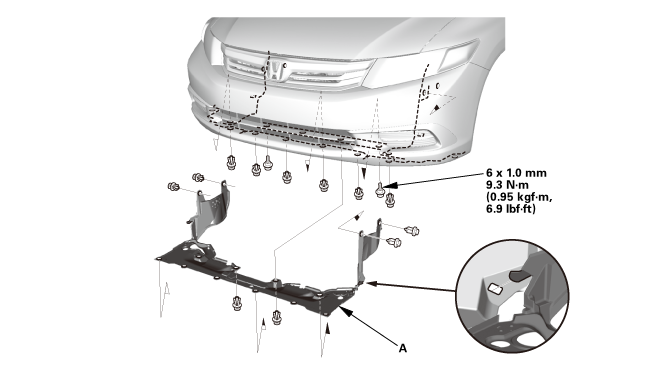 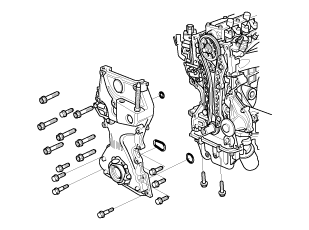 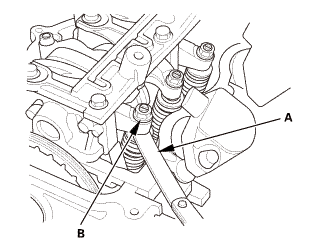 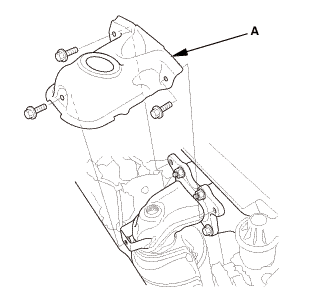 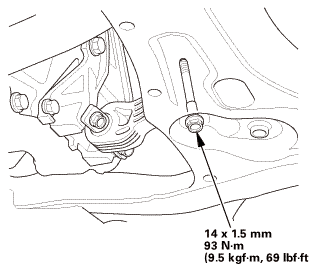 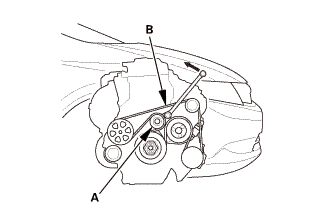 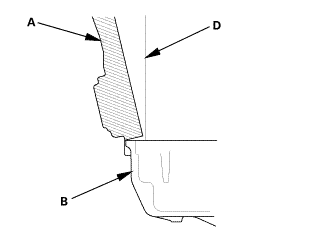 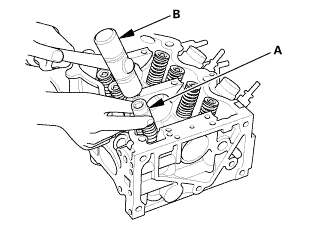 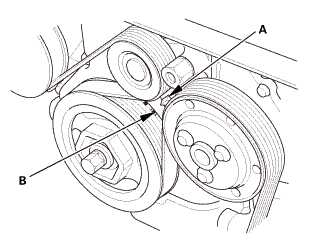 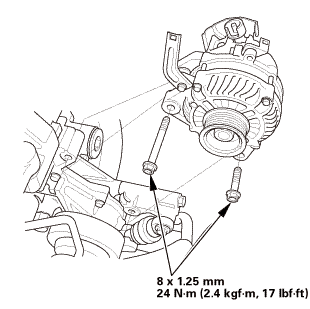 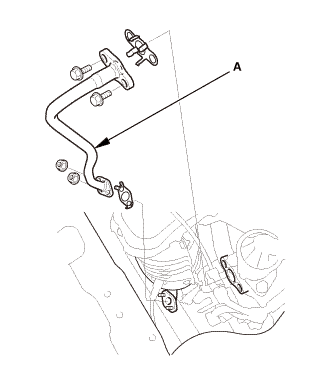 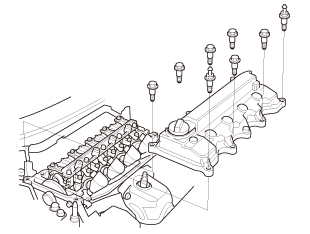 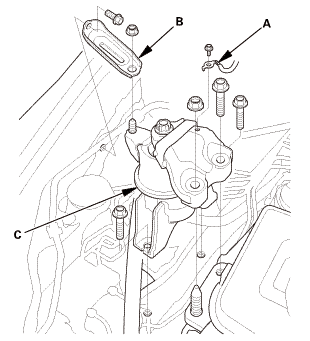 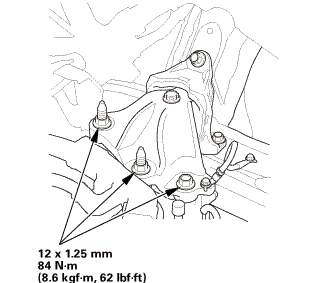 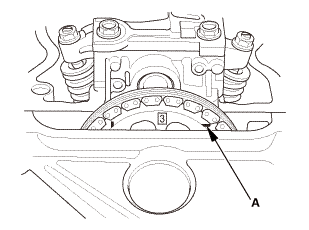 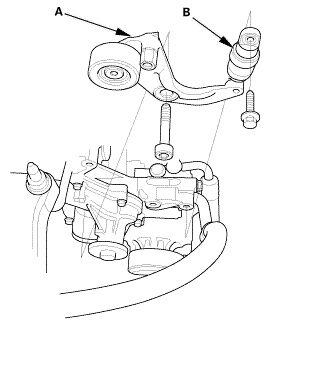 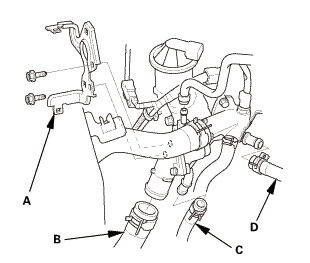 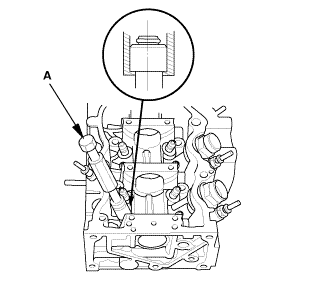 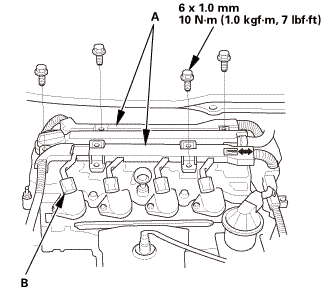 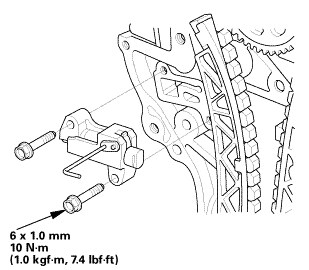 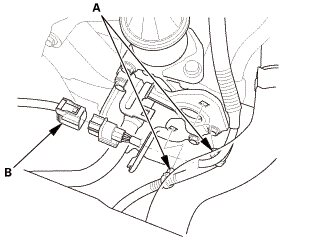 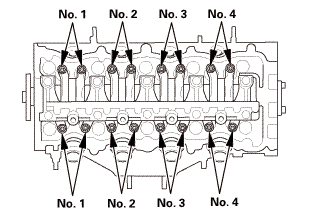 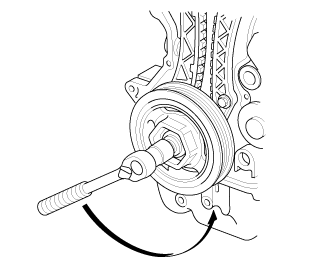 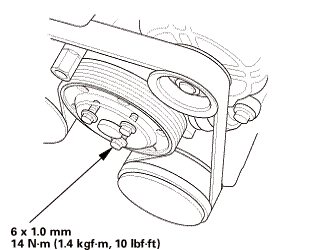 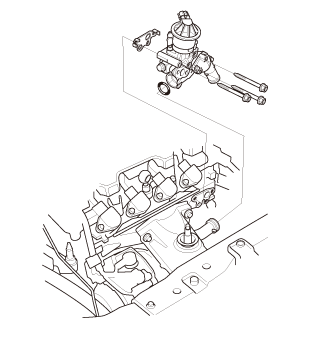 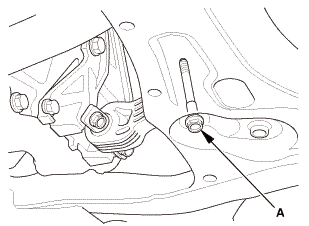 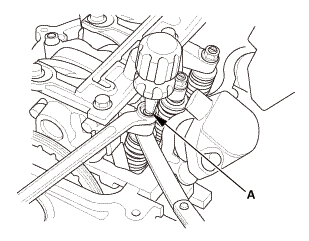 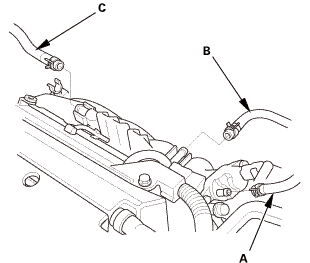 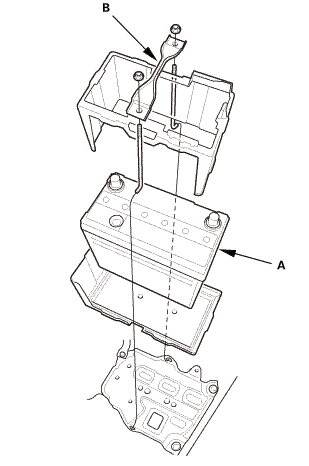 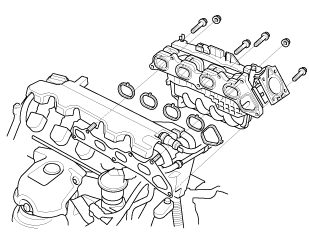 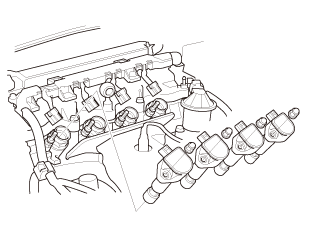 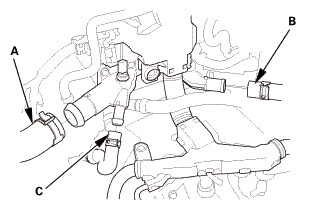 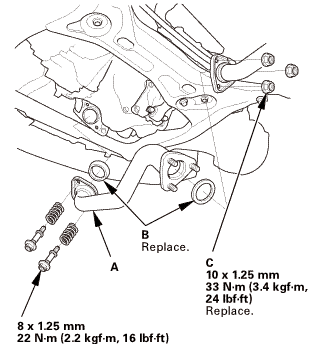 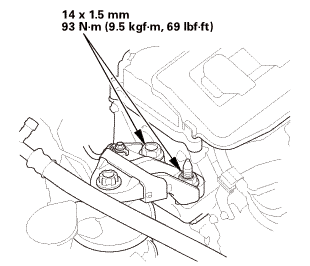 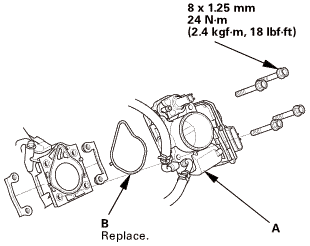 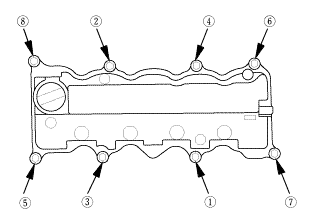 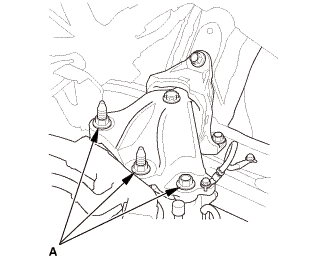 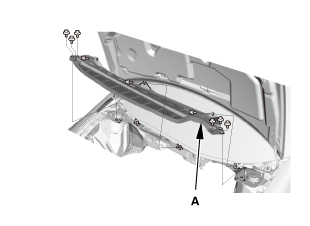 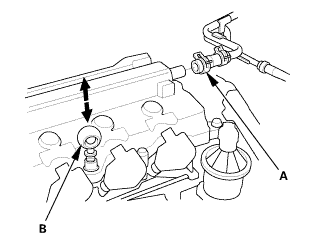 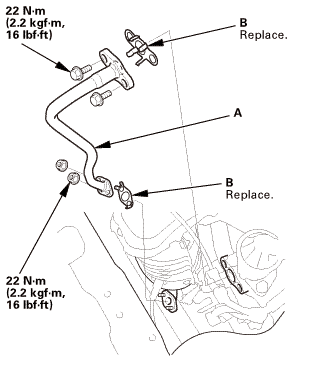 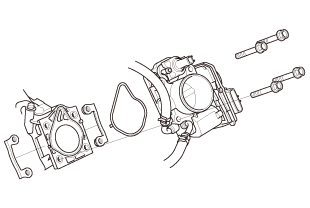 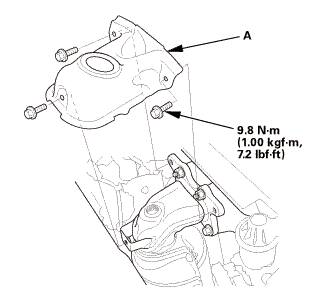 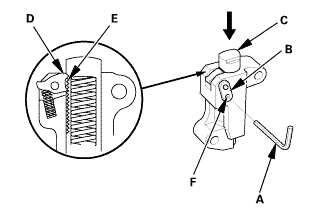 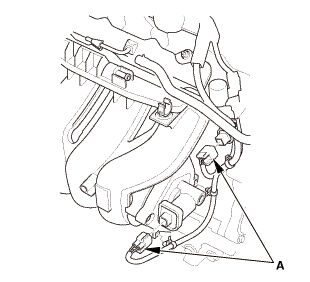 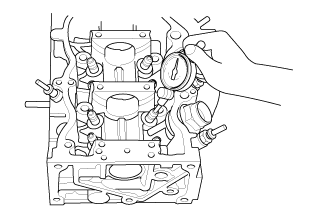 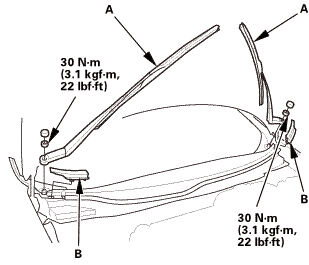 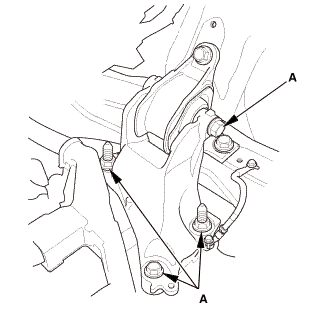 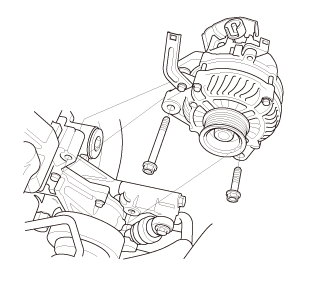 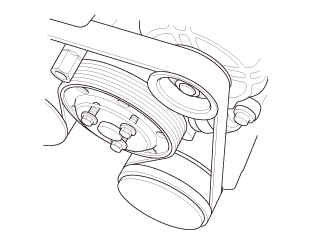 Install the guide from the camshaft side of the head; use the valve guide driver to drive the guide into the specified installed height (A) of the guide (B). 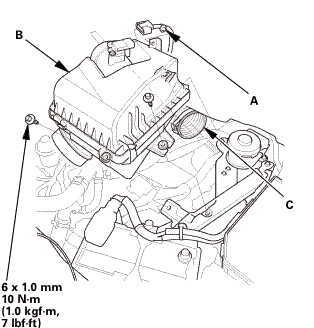 If you have all eight guides to do, you may have to reheat the head. 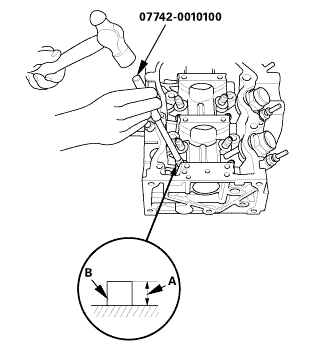 Coat both the valve guide reamer, 5.5 mm and the valve guide with cutting oil. 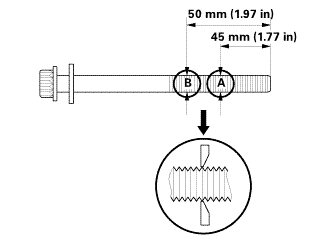 Rotate the valve guide reamer clockwise the full length of the valve guide bore. 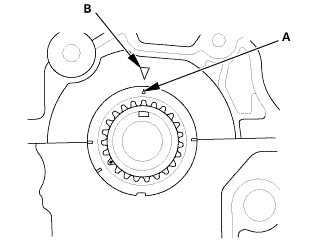 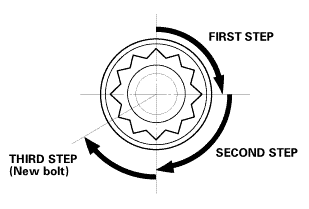 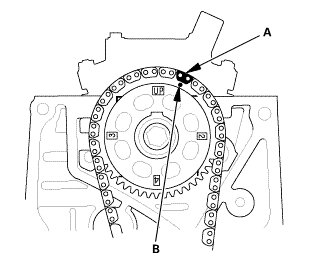 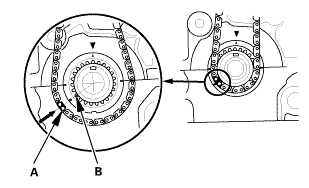 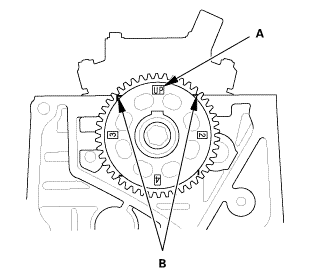 Continue to rotate the reamer clockwise while drawing it from the bore. 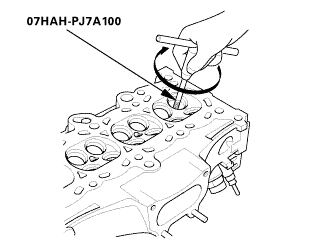 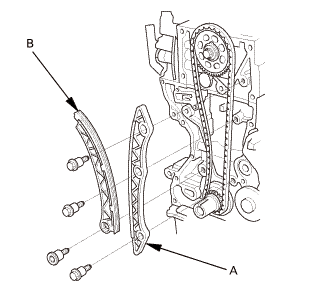 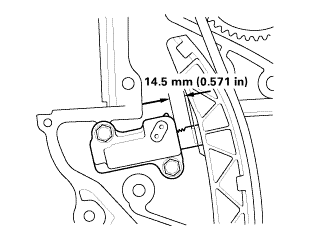 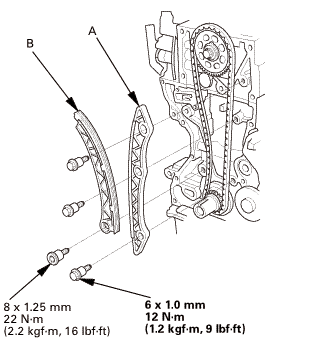 Inspect the valve seating, if necessary, renew the valve seat using a valve seat cutter.